TV drama producer Keith Hunter has made his first attempt to attack my new book Elementary, by adopting a classic bait and switch routine. Let’s examine that for a moment. Keith Hunter’s central thesis is that Watson has told the complete truth about his activities and movements. That must be the thesis, otherwise the “profound defamation” would not be “entirely unearned”. As a matter of logic, if Hunter’s premise can be falsified, then so can his conclusion. If Watson is telling the complete truth then he is innocent of the murders. If Watson is found to be lying about his actions and movements then it is possible he is the murderer and is lying to avoid culpability. One of the foundation planks of Keith Hunter’s defence of Scott Watson would then crumble, because the arguments in his book depend on the stories told by Watson and the Erie Bay family being true. If they are lying, a reasonable person is permitted to weigh that dishonesty in the mix when determining Watson’s guilt or innocence. This is a fundamental principle of the criminal justice system all over the world. Juries make assessments of honesty. Throughout Elementary I examine the so-called ‘evidential claims’ put forward by other commentators like Hunter, then see what the evidence actually has to say. Leading into the chapter on the repainting of Blade, I wrote: “Now, here’s something else [Watson] lied about”. It was clear to readers that the significance of what followed related to proving Watson was lying about his actions. This particular piece of evidence on painting establishes beyond all doubt, not just reasonable doubt, that Scott Watson had an accomplice on Blade the morning Ben and Olivia disappeared, and did not motor to Erie Bay arriving at 10am on 1 January as he told police, because he actually went to Picton. We know it was Scott, and Hunter knows it was Scott, because one of the witnesses was water taxi driver Sam Edwards who knew Scott and Blade very well and positively identified it in this sighting. We know an accomplice was on board because Edwards was certain he’d seen a second person on the boat, and his certainty proved correct when independent witnesses Wayne Robertson and Matthew Stevens both confirmed there were two men on board, one steering and one painting the boat from red to blue on the hoof. We know Blade went to Picton because charter boat skipper Ted Walsh confirmed he saw Blade in Picton in the early afternoon being repainted. Now, why is this crucially significant? Because if the challenge is that Watson emerges from the documentation “lie-free”, then the challenge has been defeated. I don’t need to explain away other random “possible” sightings of Blade by people who didn’t know the boat. I had definitive confirmed sightings of the target vessel at specific times corroborated by a friend of Watson’s. I know for a fact that if Blade was tracking south to Picton being repainted at 10am, it could not be at Erie Bay at 10am. And if it was seen at Picton being painted after 1pm, it cannot have deviated to Erie Bay on the way there. 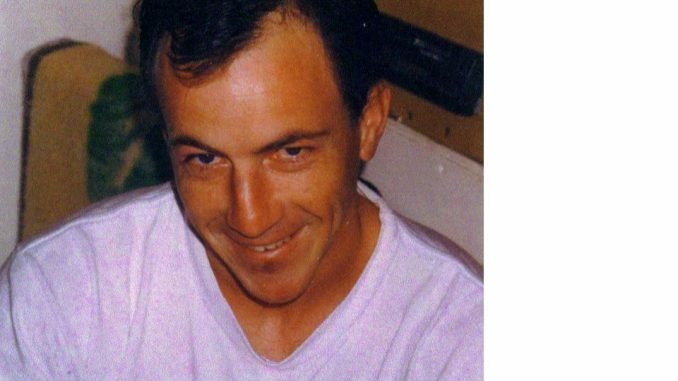 Given that the whereabouts of prime suspect Scott Watson on New Year’s Day when the couple disappeared are central to the case, the discovery that Watson has lied about everything he did that day is highly significant in a criminal justice setting, regardless of what Keith Hunter or other Watson supporters desperately want to believe. The repainting evidence proves not only has Watson lied to police, but a man and his two children have lied to police in a double homicide investigation. There is no wriggle room on this…too many utterly independent witnesses confirm Blade was repainted at sea. The borrowing paint story from Erie Bay was a fabrication – we know this because in their initial statements the Erie Bay family said Scott’s boat was already blue when it first arrived, and they made no mention of asking for paint. That lie was only added when the Erie Bay family discovered Watson had lied to police about borrowing paint, and they changed their stories to match his. Watson does not emerge from the documentation lie-free as Keith Hunter has previously claimed. Even Blind Freddy can now see that Watson is a pathological liar. Virtually nothing of significance in his police statements was true. The moral and legal foundation of Murder on the Blade, Trial by Trickery, The Marlborough Mystery and Ben & Olivia: What Really Happened? thus crumbles. The prime suspect in a double murder lied about the crucial detail of where he was, who he was with and what he was doing the day Ben and Olivia disappeared. It does not get more relevant than that in any murder investigation. He’s been caught blue-handed. The repainting live at sea with the accomplice is hard evidence of The Big Lie. In turn it destroys the Erie Bay family alibi. That’s why it is “related” to the disappearance of Ben and Olivia in a criminal justice context. The repainting at sea with an accomplice destroys Watson’s credibility. Taken in conjunction with the avalanche of other new evidence in Elementary, the inference is overwhelming: Watson is a double murderer. I believe I have answered that challenge. It was conditional on me providing a credible reason for Watson painting his boat being of significance to the murder inquiry. The lie about when, how and where he painted the boat blows a 36 hour hole in the stated movements of Scott Watson in the wake of a double homicide. For completeness, however, there is one final point in terms of the reward test. The question is not phrased this way, but it is possible to ask from Hunter’s wider ramblings on the point whether the repainting itself served a specific purpose. Why repaint the boat at all? Ben and Olivia boarded Blade in the pit of the night. They clambered over the railing and almost certainly steadied themselves on the exterior cabin, immediately to hand in the dark. The boom – contrary to Hunter’s assertions in Trial by Trickery – was probably well out of arm’s reach of someone climbing over the rail, and it was dimly seen in the dark. Booms also swing, making them less likely to be relied on, particularly if it isn’t your boat and you don’t know how secure the boom is. Faced between reaching for a cabin – which is there – or reaching for a distant boom – which isn’t – I’d choose the cabin sides every time. “I was aware all the areas on the top side of the boat, which were of a surface that may have revealed fingerprints, had been painted dark blue on 2nd January 1998 [actually 1st January as we now all know, and this mention by police in itself shows the dating of the repaint played a key role in the framework of the trial],” Detective Sgt David Landreth said in depositions. “As this act effectively eliminated any fingerprints that would have been on the earlier, rusty red coloured paint, I attempted to have the blue paint removed in order to examine the earlier layer. “Two methods were used in the attempt to remove the dark blue paint. “Firstly we tried to chemically soften and dissolve the blue layer. “This failed due to the fact that the rusty red paint underneath was of the same type as the blue paint and both layers dissolved together. “The second method we tried was to cut around a portion of the paint with a scalpel and then to try and lift the top layer off the under layer. In other words, painting your exterior cabin before the balloon went up was a highly effective way of removing fingerprint evidence from ALL smooth surfaces that had been touched outside. It also provided an effective cover story. He’d been planning to paint the boat anyway. Shifting the painting date forward meant the fingerprints could be swiftly hidden. In fact, doing it at sea hours after the disappearance, instead of waiting to repaint as planned at Erie Bay later in the week, is further evidence of guilty action forced by circumstances. Watson needed to eradicate those fingerprints in case someone came looking for his boat and seized it before he had a chance to remove the evidence. He wasn’t repainting Blade to disguise it, he was repainting it in a race against the clock to remove evidence that Olivia and Ben had been there. Clearly, his plan worked. Watson was a boat painter – he knew painting would destroy fingerprints. I have now shown the significance of the repainting on 1 January to proving for the first time in 18 years that Scott Watson has lied about material issues relevant to the disappearance of Ben and Olivia. I have also shown that the repainting itself was a surefire way to erase fingerprints and thus delivered a major benefit to Watson, the killer of Ben Smart and Olivia Hope. To suggest that repainting of the boat in either of these contexts is not relevant to a murder investigation and Watson’s position as prime suspect is ludicrous and the investigative equivalent of sticking your hands in your ears whilst repeating ad nauseum, ‘Nyah, nyah, I can’t hear you’. I will invoice you for the $5,000, Keith. PS, on page 161 of Trickery you argue he would have wiped the boom to erase fingerprints. You appear to forget, Watson could see what Ben and Olivia touched. If he knew they hadn’t touched the boom (out of arm’s reach from the railing anyway), what point would wiping it serve? The fact that police found unidentified prints on the boom is quite possibly more proof of the presence of the accomplice – not that further proof is needed. I’m sure police are running those prints through their database again. The onus of proof however is currently on you, Keith Hunter. You are the one who based a documentary and a book on a claim that Scott had not told even one single lie. It is you who now needs to explain publicly how your work remains credible, in the light of the evidence above and contained throughout Elementary. Scott lied. Your thesis is built on a house of cards. Arguing ‘so what?’ by trying to say the painting is irrelevant, while not acknowledging that your protege has lied to the whole of New Zealand, looks extremely foolish in my opinion. Those Scott Watson supporters who lack critical thinking skills may be applauding you, but I wait with interest the views of those who can see through the bait and switch. You said Scott never lied. I have now proven, yes he did. Where does that leave your argument? New Zealand is waiting for a credible explanation and ‘so what?’ won’t cut it. I hope you are offering a $5,000 reward for every post I rebut. The money will be donated to Starship Children’s Hospital to buy new lifesaving equipment. Well written, well argued and well done Ian Wishart. I will be watching this space with interest.